Part of what we’re trying to do on this site is to put the net in microBEnet. As in, building an online network for an emerging research discipline (Microbiology of the Built Environment) that connects building scientists and engineers with biologists, ecologists and computer scientists. The internet is a big place. Publicizing a new cause or web portal can be overwhelming, even for those of us who think we know what we’re doing. Since the social media realm is largely considered “untested waters” (and us scientists are hardly Silicon Valley insiders) there’s a lot of experimentation. Figuring out what works and what doesn’t. Trying new strategies as the web evolves. Until a few months ago, I was completely unfamiliar with the concept of Search Engine Optimization (SEO). But then I attended a talk by Evan Bailyn, author and web entrepreneur who has extensive practical experience with the worlds of web searches and social media. Evan’s #1 commandment for building an online presence (a brand, your professional reputation, or an online community such as microBEnet)? Create excellent and unique content, frequently – ideally every day. This will not only draw people into your site, but it will dramatically improve your search engine rankings. Content reigns supreme. Your content will define your unique voice–its what will get people hooked on your site, and separate you from everyone else on the internet. In ecological terms, you must define your niche or face extinction. Every site should have a blog – this is one of the easiest ways to publish new content. The next step is to define your audience (who will you target? ), and figure out what content would be interesting for them. Once you have strategized and set up your site, try to update the blog with new posts every day. However! Don’t just post for the sake of posting – to capture audiences there needs to be real passion emanating from your daily content. Don’t think about SEO, web traffic or future accolades–it will only create stress and cripple your efforts to create really awesome content. Also never be afraid to cater to the average person’s low level entertainment desire (why do you think we use such low brow humor on Deep Sea News, a marine science blog that I contribute to). Evan even suggested testing content on forums such as Reddit–what will garner the most interest from your audience? Evan’s general blogging guidelines: posts should be a minimum of 500 words, with a minimum of 3 images. Website images should be high-resolution (don’t use those cheesy stock photos), and have captions that will help improve your search engine ranking. Blog posts should have appropriate and descriptive titles; this is vitally important for people finding your web content via search engines. WordPress software (what we use for microBEnet) is particularly friendly for SEO. Plugins such as Yoast allow you to manually edit meta page titles (the text that appears in the top bar of your browser application, next to the minimize/maximize buttons – NOT what’s on the webpage itself). The meta page title is normally filled in automatically in WordPress from the blog post title, but editing this to add in a few more keywords will help bring more viewers to your site. Consider blog post and meta page titles as the “prime real estate” for search engines; the order of words doesn’t matter, but you should write a meta page title that is readable by both humans and computers. Specific titles will increase your exposure to your target audience–people who are seriously researching a subject (or about to make a purchase) will use what are called long-tail search terms. For example, someone Googling “microbes” might just be browsing around or looking for a link to Wikipedia, but a person using a more specific phrase like “microbes that live in air conditioners” is desperate for specialized content. The latter person would represent the serious audience for microBEnet – so its in our best interests to appear high in the search rankings for that given phrase! Surprisingly, URLs aren’t as important as they used to be – these were devalued by Google about a year ago. Even more reason to pay close attention to page titles. Once your website is established, content is being created, and all the SEO tools are in place, its time to get the word out. The internet is a big place–even with the best content, your site will lurk in the darkness without external support. Google uses links AND page titles to determine search results. Evan underlined that Google’s fundamental search strategy hasn’t changed in 8 years, despite frequent tweaks to the algorithm. Algorithm updates are mainly meant to improve Google’s ability to eliminate potentially spammy links; Google does not like it when websites pay $$ for links (this is a spammy strategy carried out for the sole purpose of improving search rankings). Spammy links impact a site’s “Trust Rank”, and will ultimately hurt a site’s search engine rankings if (when) Google finds out. The bottom line: getting people to link to your website is a much more valuable strategy. It shows that your website is a major hub and houses important content. In this respect, getting linked to from high-traffic sites with high search rankings is a definite victory. So how do you “bait” people to link to you? One tip is to tweak content according to the what’s hot right now. Customizing blog posts according to time of year (seasons, holidays) or newsworthiness is one way to create unique, compelling posts that can easily hook an audience. Evan commented that people tend to love Top 10 lists and superlatives. Another method is to leverage your online network and asking for links, although this seems to be a time consuming approach (sending out 20 emails, only getting 1 positive response), and perhaps not always appropriate for science (you don’t want to come across as too self-promoting, and you might turn people off). As your website grows, the final step is to convert casual visitors into captive followers–capitalizing on your web traffic and the people that come to you via search engine terms and external links. To illustrate the power of Search Engine Optimization, Evan relayed a case study from his own life. His wife had always dreamed of being a theme park designer, but needed to find a way to break into the industry. She realized that theme parks are a small, niche industry where not many people are web-savvy; like science, the theme park industry also has what Evan calls “Microcelebrities” – people who are well known within their own specialized community. To get her name out there in the theme park world, Evan’s wife set up a website called Entertainment Designer and started producing content that was unique but relevant for the theme park community. In particular, she sent “Interview Request” e-mails to micro celebrities, and started posting the resulting transcripts on the site. This unique content led to steady growth in site traffic over a relatively short timespan (1.5 years from web setup to interview posts). Entertainment Designer ultimately became a hub for the theme park industry, and nowadays Evan’s wife acts as an intermediary who offers formal introductions to people who hope to work together in the industry. Through SEO and targeted content, the website enabled her to get her foot in the door, without having any training or previous experience. The best advice for gaining followers? I think that every case is different, and requires some degree of trial-and-error. But general rules include knowing your target audience AND your chosen medium, and defining what you hope to accomplish in advance. 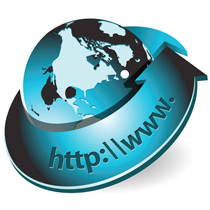 The internet continues to evolve, and there are some notable trends on the horizon. Google continues to personalize and customize search results–you’ll notice your search results will be different depending if you’re signed in or out of your Google account. When you’re signed in, your search results will be affected by 1) your location and 2) your personal search history. This increasing reliance on personalized search will have significant implications for SEO strategies. Perhaps the biggest secret of all is how to create content which is interesting to people–Evan firmly stated that frequent but boring, run-of-the-mill content isn’t worth writing. If you take home one message from this post, take this: Content is King. **To find out more about SEO and social media strategies, I definitely recommend reading Evan Bailyn’s books. I just finished Outsmarting Social Media, which we received for free at that talk, but another one I hope to read is Outsmarting Google: SEO Secrets to Winning New Business.